Many a painter has set up an easel on this corner to sketch the streets where Pissarro, Sisley, Cézanne, Toulouse-Lautrec, Renoir, Monet, Zola and Vincent Van Gogh roamed. 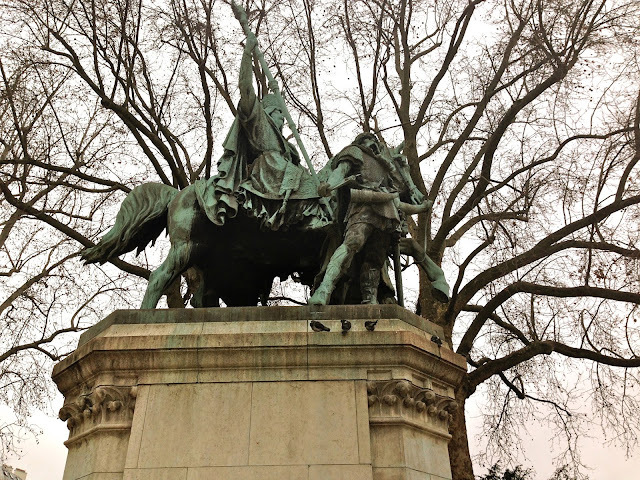 Bare branches seem to be fanning out behind a statue of Charlemagne. 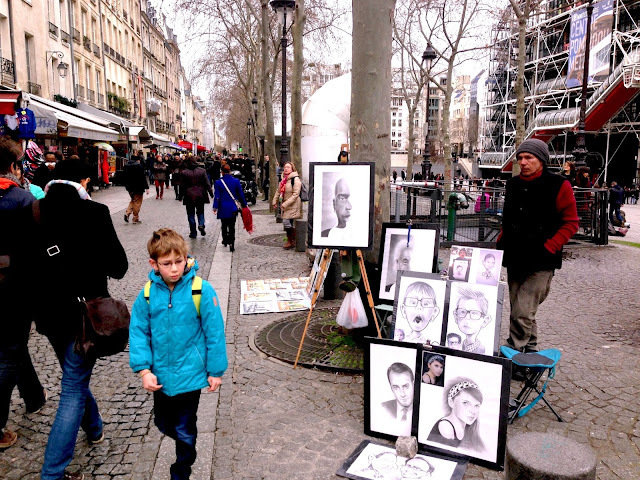 Portrait artists add to the winter street scene around the Beaubourg. 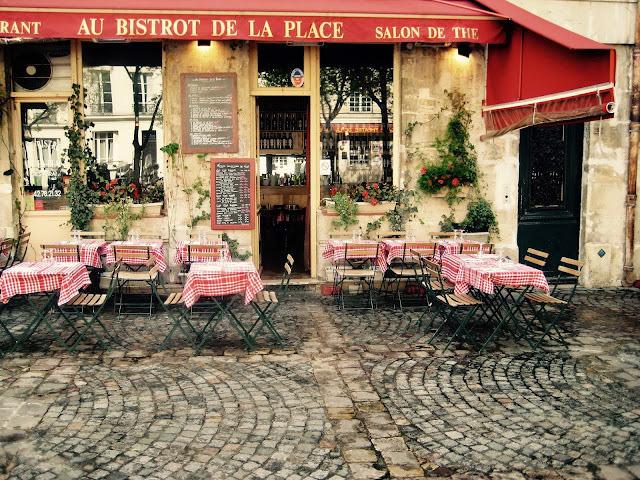 Bistro on a cobbled square between meal times. 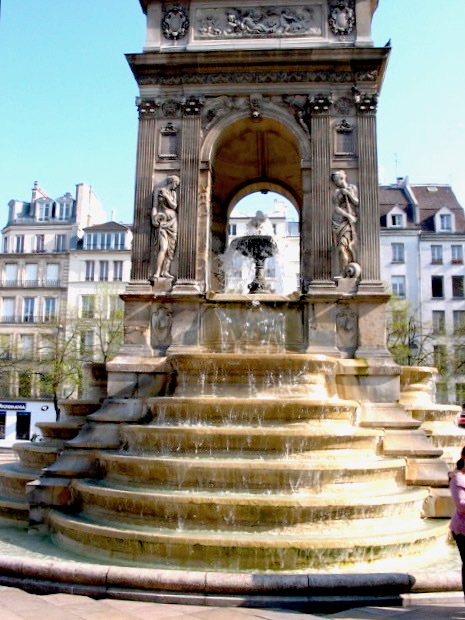 The oldest monumental fountain in Paris, dating from 1547. 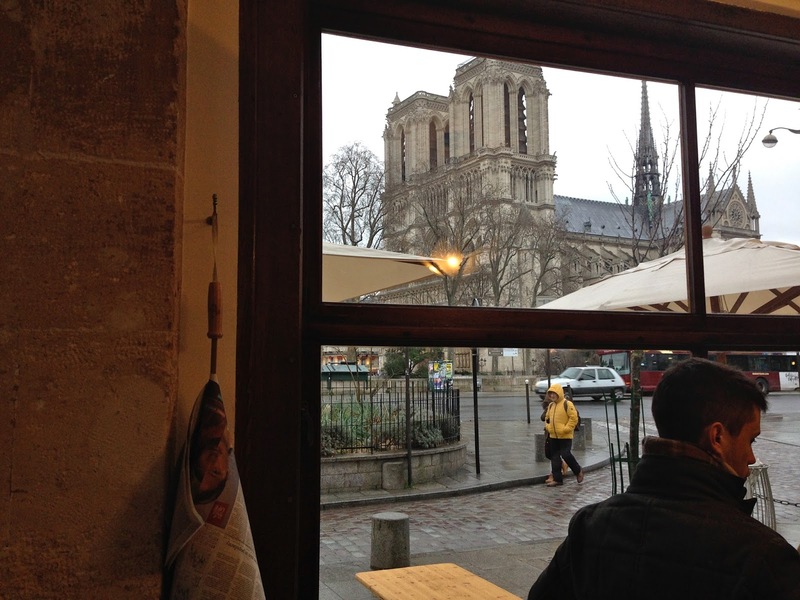 Coffee and rain from Shakespeare & Co.'s newly opened coffee shop. Labels: notre dame cathedral , paris cafes , shakespeare & co.
A small cemetery is the final resting place of writer Marcel Aymé, Impressionists Eugene Boudin and Maurice Utrillo. The holiday season is over but remnants remain until the end of the month. A painting inside the elegant wood paneled bar at the Peninsula Hotel. An ancient fountain on the corner of rue de Charonne and Faubourg Saint-Antoine has life in it yet. 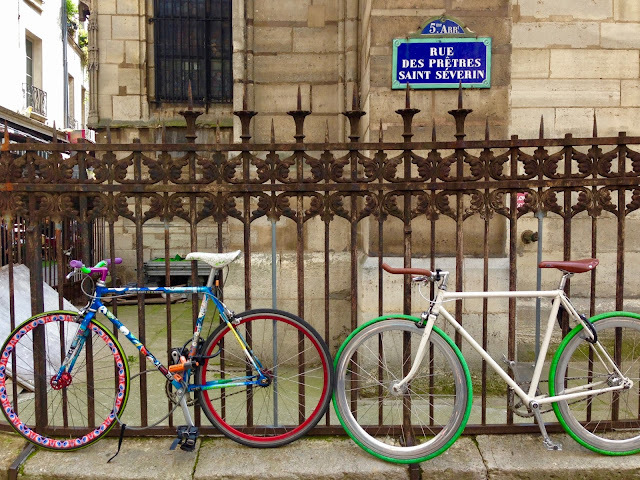 Colorful bikes stand out against the fence and wall of an ancient church. 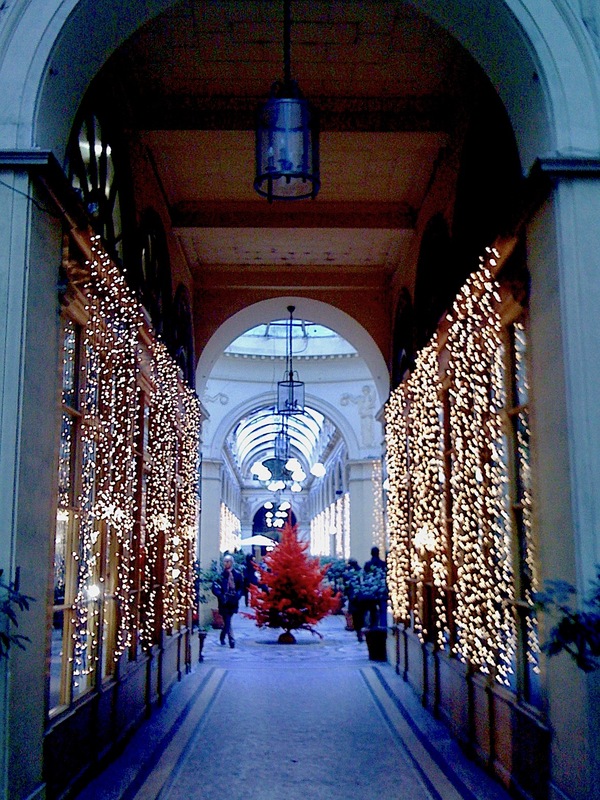 Step behind the doors of this lovely old hôtel particulier, now an art and cultural center, into a courtyard tea salon and another world. 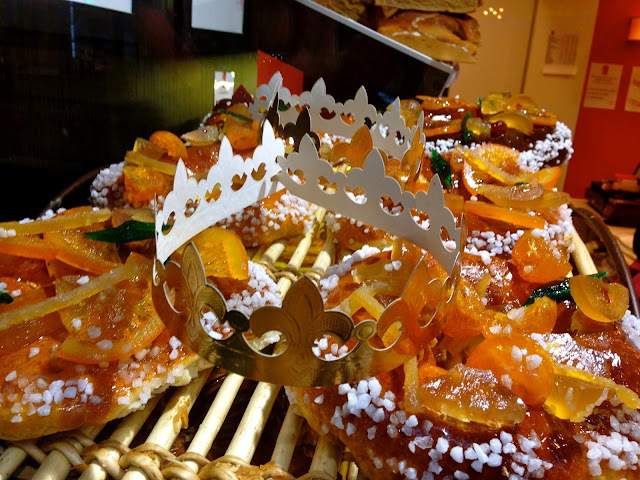 Galettes des rois are sold throughout the month of January. These ones are topped with candied orange slices and dried fruit. 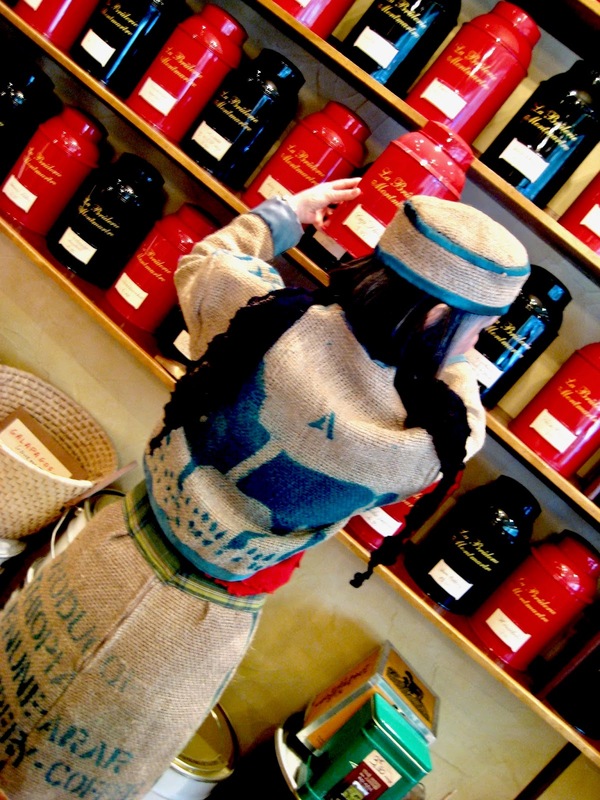 Handy with a sewing machine, the owner at this specialty coffee roasting / tea shop has turned burlap coffee bean sacks into an outfit. Live music and tastings on Sunday mornings. "Animal art" (1/9/2017) received so many views I thought I'd post these photos as well. A bright storefront of a small shop on a Montmartre backstreet. What appears to be a street in severe state of upheaval is a bronze sculpture, a gift of the government of Quebec. 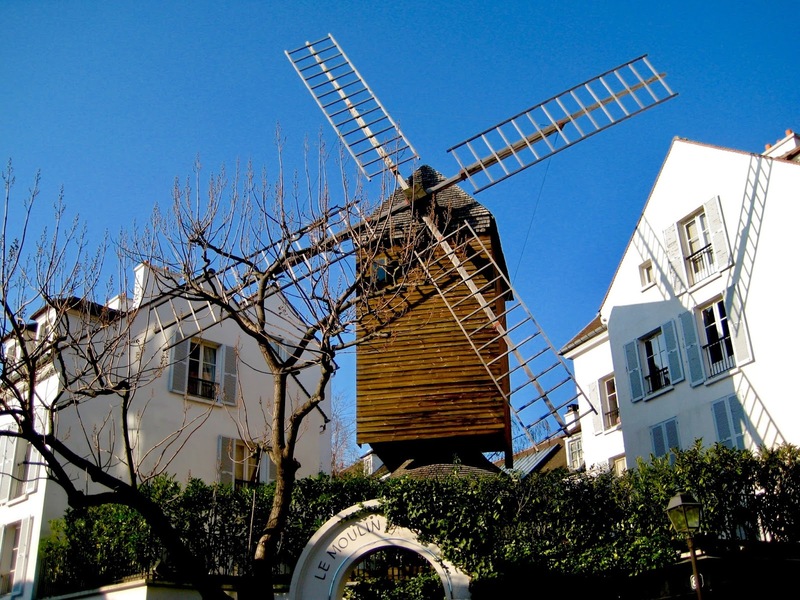 The Moulin de la Galette, one of two windmills left in Paris, crests a Montmartre hill. 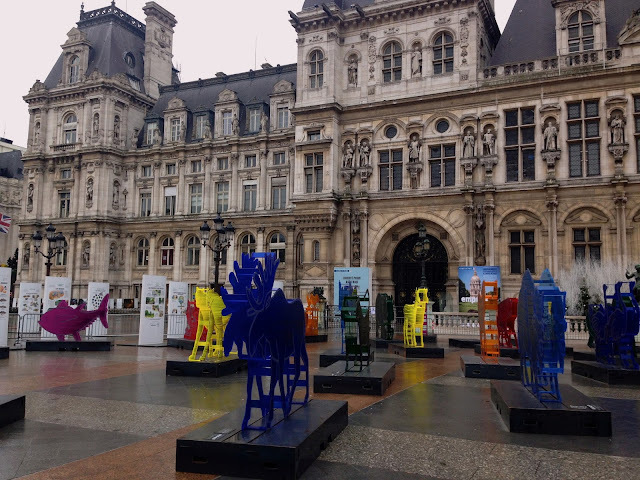 A two-day special exhibition on Place de l'Hôtel de Ville. The mossy courtyard of La Maison de l’Europe harbors a giant Croatian Easter egg symbolizing friendship among nations. 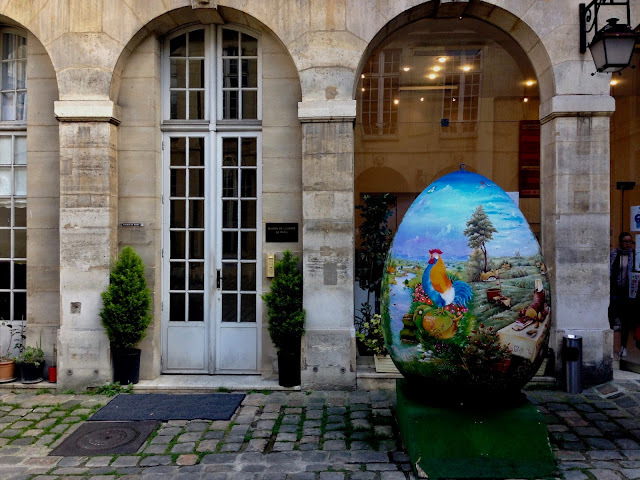 A small dog inside a small real estate agency car that says, "Live well in Montmartre." 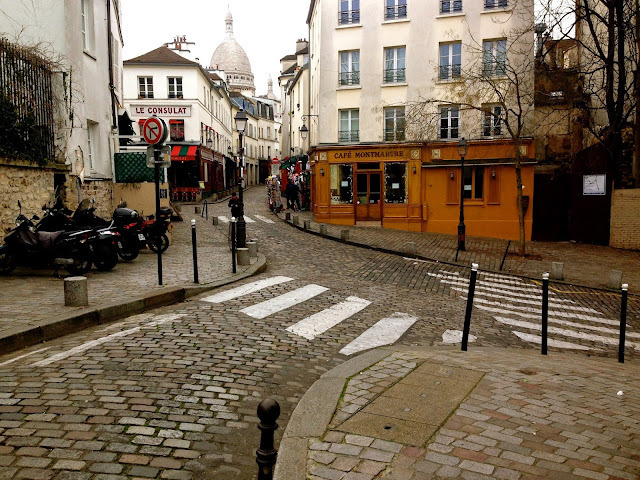 Perspective of Montmartre's infamous Love Wall off Place des Abbesses. A sweatshirt at a small Left Bank specialty gift shop. 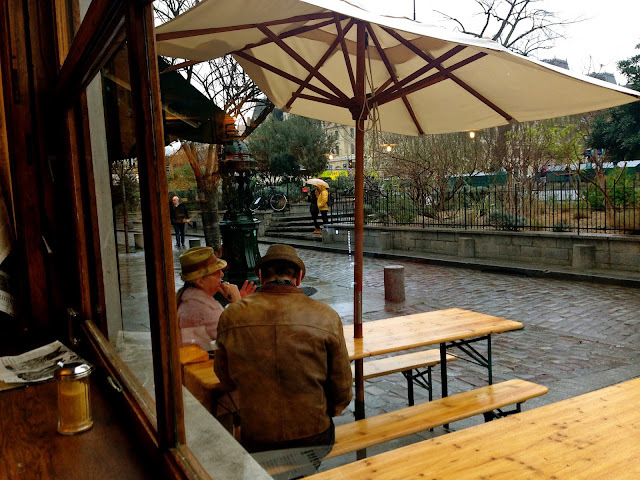 No shortage of places in the Orsay Museum to grab a bite. The Great Wheel, Egyptian Obelisk, Eiffel Tower, Les Invalides, from Place de la Concorde.